Product Review – not for the boys to read! I thought that post title would catch your attention and if you are male reading this you are either a blog subscriber or curious as to what you were told not to read! 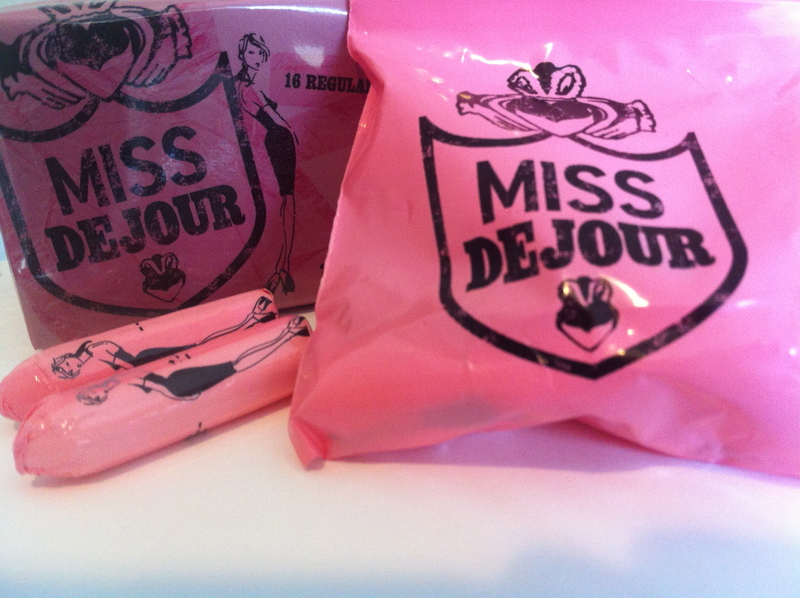 I was recently sent some samples of ‘Miss Dejour‘ tampons and asked to review the product. My initial reaction was eugh I am not going to write on my blog and tell people about my intimate thoughts on a tampon! So what I am reviewing is more about the product look and feel and branding as well as usability for us runners. I don’t know about you but when training I often struggle with what to carry and what to leave in the car. There’s my iPod Shuffle, car keys, water, sports watch (which is easy as I wear that). I did ponder the idea of training with a running belt but found I needed the toilet a lot and it played havoc with my stomach, even when on loosely. I sometimes train with my Camelbak and ran a couple of my marathons with it which was perfect as I had my phone and everything on my back. Thankfully a lot of running gear comes with a handy pocket somewhere to be able to carry them around but I don’t know about you I find they fall out in my bag and I never have anywhere to store them. Well that’s where the Miss Dejour tampons are handy as they come in a handy plastic mini bag that is perfect for your bag and also a reasonable size pocket if you need to run with them. They would also be perfect in the evening when you need to keep your tampons in check in your handbag. Love the design of them – the brand colouring is very ‘Agent Provocateur’ look and feel – baby pink packaging box, bag and tampon cover – although i was disappointed to see the tampon itself is white – but I am assuming this is a health and hygiene requirement as I have never seen a coloured tampon! The brand is a little bit cheeky and make tampons almost look cool and trendy! If you haven’t already seen them in the shops they are available in Priceline, IGA and select pharmacies according to the information I got from Miss Dejour. Is your goal getting in the way of training?